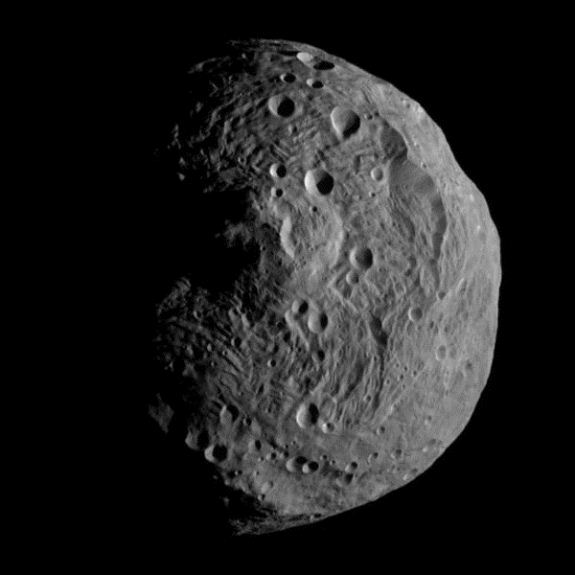 This photo of Vesta was taken by the Dawn spacecraft from the asteroid’s orbit on July 17. Vesta is a large asteroid with a mean diameter of about 530 kilometers. It is the second most massive object in the asteroid belt after Ceres and consists of about 9% of all the belt’s mass. It is also the brightest asteroid because it orbits much closer to the sun than Ceres. Its average distance from the sun is 2.361 AU. 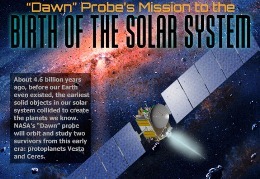 Dawn will study the asteroid for the next year and we hope for lots of interesting discoveries. Wonderful post, i feel so good that i found this article, honestly it is the first time i heard about NASA, thank you for sharing with us…. Really? Never heard of NASA before? Where did you live?? ?